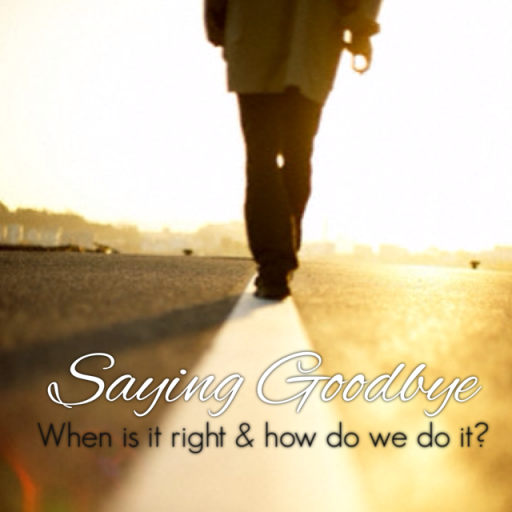 Saying Goodbye: When Is It Right, And How Do We Do It? Farewell. Sayonara. Au revoir. See you later. The human race has come up with so many ways to say goodbye. The sentiment, however, is universal – it is one of the hardest things most people have to say. It could be saying goodbye to a long-term relationship, a job, a dearly beloved, dreams, hopes & ideals, or even… (hear the Marthas gasp in horror) a ministry. These goodbyes generally involve some tears, sadness, fear, and even anger. Goodbye is also (in my opinion) one of the most misunderstood words in any language. Some of us see it as a dreadful, horrible thing. Some of us rush through it in an effort to abbreviate the pain. Others of us are flippant and indifferent. Most of us are helpless and clueless when it comes to saying goodbye properly. I believe that certain goodbyes are necessary, good, and when done properly, healing to the soul. In my years of walking with God, I have gone through seasons of transition that gave me a first-hand taste of the ups-and-downs of goodbyes. Some I understood, and some I didn’t. None of them were easy. When is it ok to say goodbye? How do we know when it is right to leave, or let something/someone go? How do we say goodbye right? Dear friends, I humbly present my thoughts on this subject to you. 1. It is wrong. We’ve all been there – that one thing which we find so difficult to walk out of. It could be a friendship, romantic relationship, mentorship, ministry, job, addiction, or even a family member. We often stay because of guilt or fear, and that is never a good basis for anything. If your heart is telling you that something is wrong, even if it looks right to everyone else, then LEAVE. Live your life according to the will and fear of God, not the fear of man – because when you meet Him face to face, He is only one to whom you will have to give an account of how you lived your life. 2. You stagnate. If you find yourself plateauing, stagnating, not growing, it is most likely time for a change (of course, do check if your lack of growth is because of a bad attitude or an unteachable heart). Any season that God brings us into – be it a mountain top or valley season – will always cause us to grow, mature, be challenged and sharpened. 3. The detriment of staying is greater than the pain of saying goodbye. Saying goodbye can be painful for us and the people we are saying goodbye to. 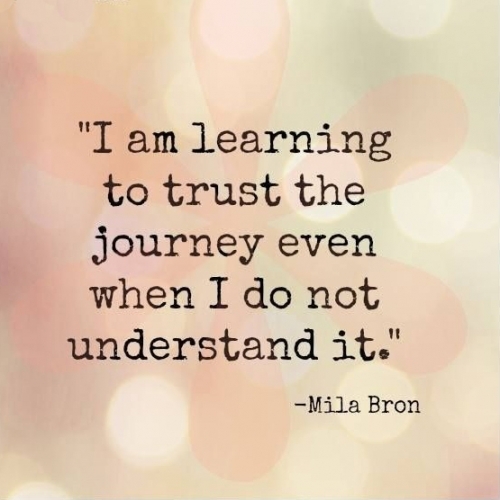 Most times, it can even cause us to be misunderstood. Irresponsible, heartless, foolish, wrong, backslidden – I’ve been named these and more through the years. Saying goodbye is painful, difficult, and oftentimes lonely. But when the prospect of not saying goodbye, of remaining where I am, hurts me more than being misunderstood, then I know that I really have to do this. When you know that you are doing what pleases God and what He wants for your life, it is worth it even if you have to face all the accusations and disapproval of man. 5. Things are too comfortable and too logical. God is a God of order and logic, but His ways and thoughts are often way higher than ours (Isaiah 55:9). I am not saying that we should live irresponsibly, nor does this give us an excuse to be erratic, unstable, fickle, inconstant, undependable, unreliable, unmanageable, impulsive… you get the idea. What I am trying to say is that sometimes, just sometimes, we can build our lives on our own wisdom & strength and in the process miss out on where God is leading us. His ways usually involve some elements of faith on our part, which means that we cannot fully understand nor control our circumstances. If things are getting too comfortable and too logical, it is a good idea to take some time for reflection and prayer about what God is up to in your life. 1. Cry, rage, rejoice if you need to. That’s right. Let all those emotions out. Savor them. Do not gloss over them, and definitely do not brush them under the carpet. Allowing your heart to feel is an important part of the process to closing one chapter of your life and starting a new one. 2. Be gentle on yourself and others. It is perfectly fine to feel sad, or to need some time to come to terms with things. Saying goodbye does not come easy to most people, so give yourself (and others) a break. 3. Talk about how you feel. Honestly. Talk, write, reflect, talk some more. Let your heart, mind and soul fully process what is happening. Only then will you ever find the proper closure that you’ll need before starting the next chapter in your life. 4. Do things that make you laugh and come alive. Remind your heart that life is so much bigger than what you are saying goodbye to. 5. Give time, time, and more time. Some goodbyes take longer to recover from than others, but all things are made beautiful in time. Let God take His time to work His magic in your heart. There are many other ways and reasons to say goodbye; the ones I shared are just a few of what I have learnt along the journey of my life. You, dear reader, may have different circumstances and new perspective on this (which I would love to hear about, by the way!). But whichever the season of life and where you come from, I pray that God would release His grace upon each one of us. That we would find the strength and courage to walk in the unique paths He has carved out for each of our lives. And remember that there are far, far better things ahead than any we leave behind (C.S. Lewis)!